From iconic destinations like Tahquamenon Falls State Park in the eastern Upper Peninsula to lesser-known gems like Hayes State Park in southeastern Michigan’s Irish Hills, the Great Lakes State offers 103 state parks to enjoy. Within these parks, there’s hunting and fishing along with campgrounds, boat launches, swimming beaches, trails and lighthouses. Whether it’s city destinations like Belle Isle Park and the Outdoor Adventure Center or wilderness areas like Craig Lake State Park, Michigan has plenty to offer. But before 1917, our state parks numbered only one – Mackinac Island State Park, which was established in 1895 as a gift from the federal government. It had been the country’s second national park. Interlochen State Park is considered Michigan’s first official state park, having been purchased by the state Legislature in 1917. At the beginning of the 20th century, when Michigan’s population rapidly expanded as the automobile industry grew, cars became affordable and people could drive from their urban homes to the country or the lakeshore. But with few places available for the public to enjoy these scenic outdoor settings, it became clear that a statewide system of recreational areas open to everyone was needed. On May 12, 1919, the Michigan Legislature established the Michigan State Park Commission to oversee, acquire and maintain public lands for state parks. 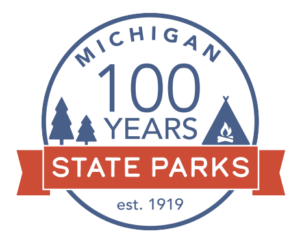 To commemorate this historic milestone, the Michigan Department of Natural Resources will celebrate the 100-year anniversary of Michigan state parks throughout 2019. The centennial celebration will encourage the public to get involved by sharing their stories and photos, attending events taking place throughout the year, exploring a new or favorite park, learning more about the history of state parks and much more. Learn more about how to get involved in commemorating the 100-year legacy of Michigan state parks – and about the parks and their history – at michigan.gov/stateparks100. 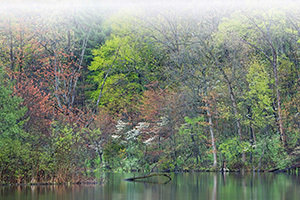 An average of 28 million people each year visit Michigan state parks ranging from Milliken State Park and Harbor in Detroit – Michigan’s first urban state park providing a green oasis in the heart of the city – to Porcupine Mountains Wilderness State Park, offering one of the few remaining large wild areas in the Midwest. Keep reading this “Showcasing the DNR” series here.